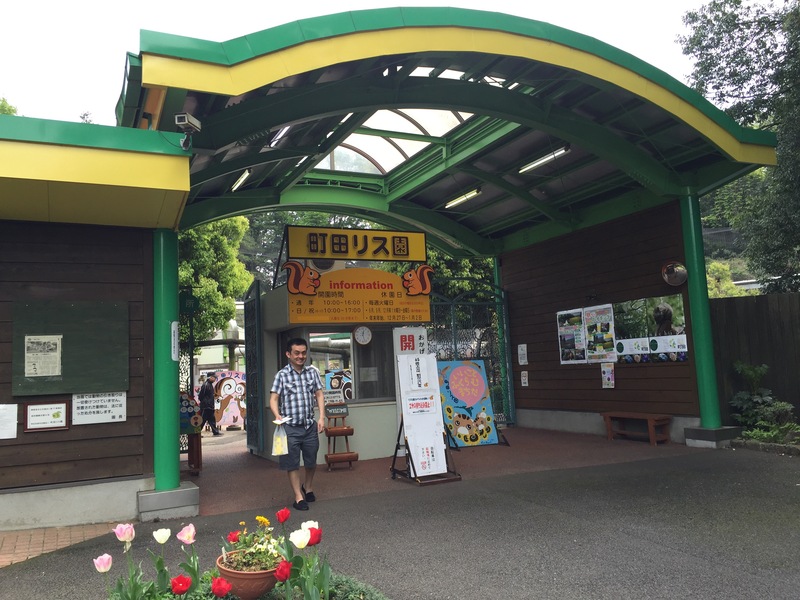 Before we left for Japan, I read about this squirrel park outside of Tokyo. 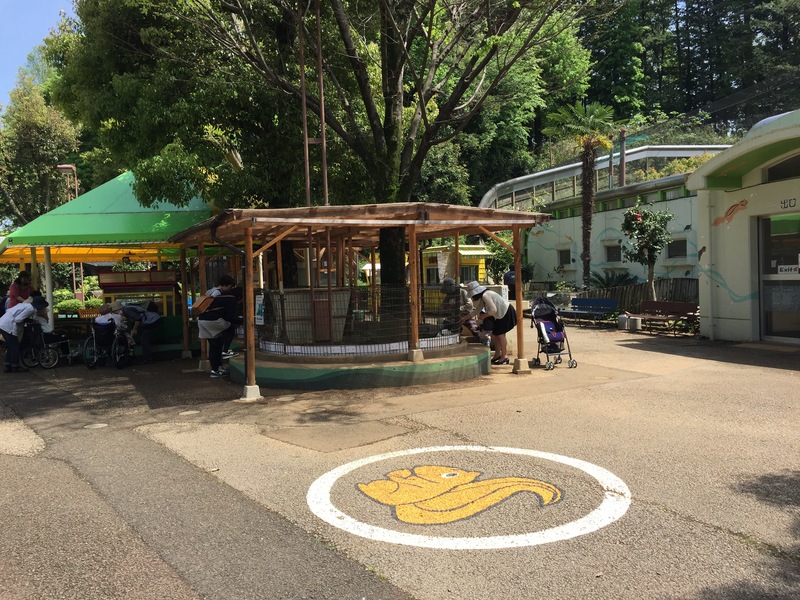 It was a park and a petting zoo all wrapped in one and Naoto was confident that we could get there easily, though he wondered what the appeal was. “Squirrels are rodents. Who would want to pet one?” I insisted it would be a fun adventure. I wanted to feed a squirrel and have one hop on my shoulder. 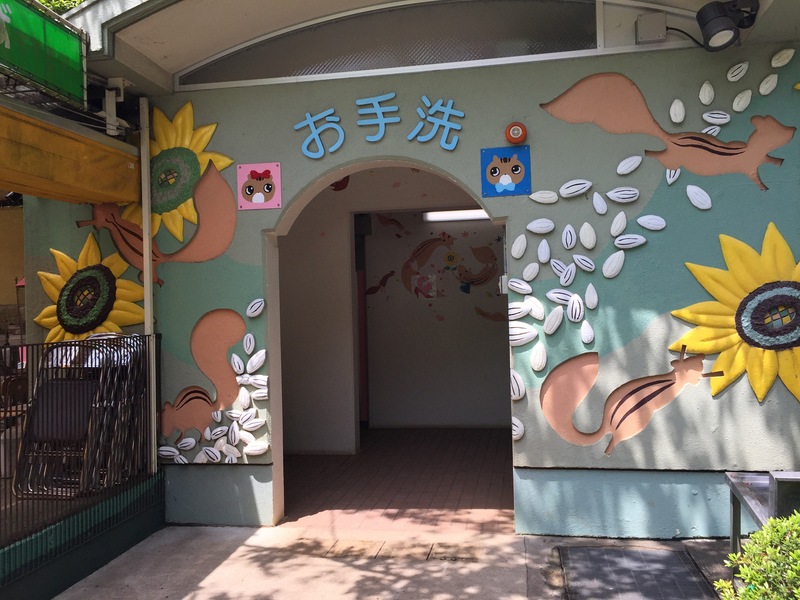 The first part of the park was similar to an American petting zoo. Guinea pigs, rabbits, turtles, and squirrels were in cages and you could feed them and pet them. It was very laid back and lots of parents and children were roaming about. I fed some rabbits who were quite greedy, stealing lettuce from each other and almost eating my finger along with the carrot stubs! 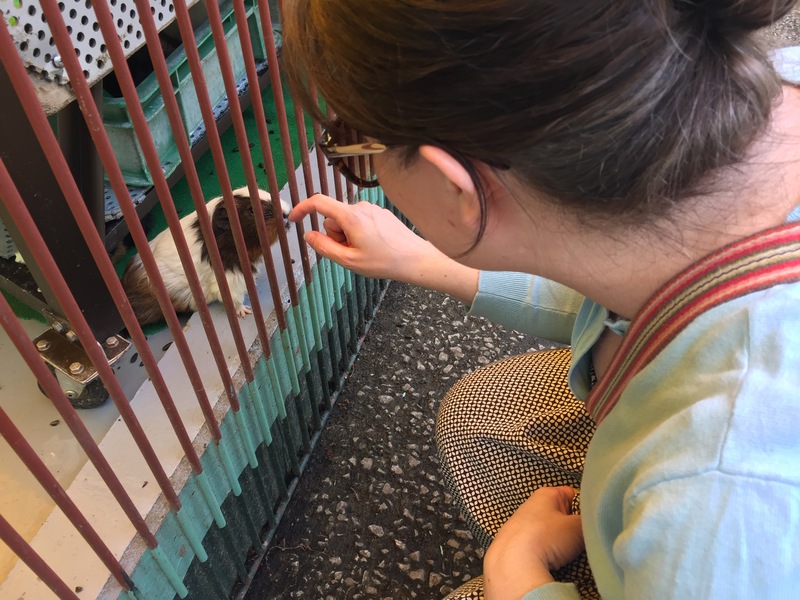 And I petted the hedgehogs and marveled at the slow moving turtles. When we walked through the gate through to the squirrel part, I was instantly bombarded with squirrels. If you stand still, they will run up your leg hoping you will have food! 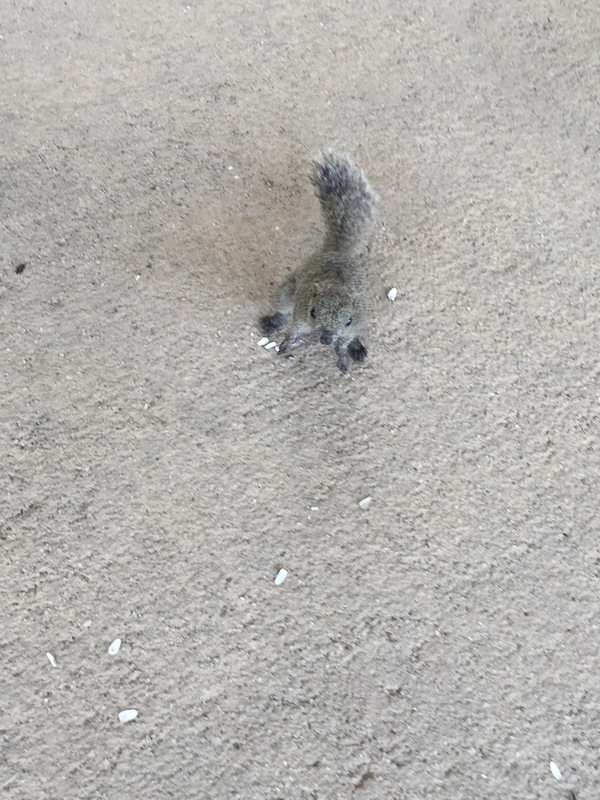 I was uneasily walking around when this guy ran up to me and stopped and begged…shudder. Before I had a chance to tell him that I was a coward, Naoto ditched me and bought some food so I could feed the squirrels. I enjoyed watching him get up close and personal with those crazy beasts, but I was too chicken to be a squirrel feeder! The rest of the park is an enclosed area where the squirrels can roam freely. 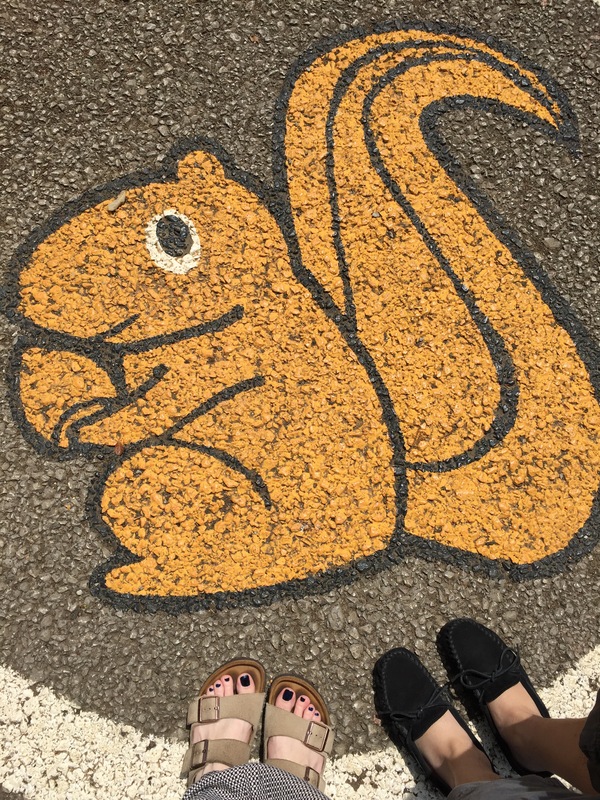 We walked through and saw squirrels sunning themselves and napping. It also felt a bit like the Pied Piper of Hamelin because groups of squirrels would follow us around, hoping to be fed! There was also an old tortoise in the squirrel area. He was more my speed. Even though I was a big scaredy cat, I’m so glad we went! It was a perfect spring day and a good excuse to be outside. I would be remiss if I didn’t mention that the workers at the park are adults with special needs. They earn money by selling and taking tickets, handing out the food, working in the gift shop, and they benefit from the profits of the park. I think it’s an additional bonus to the park, and the customer service is top notch, following the strong Japanese custom of hospitality. Sounds like a nice day. I too would be afraid of the squirrels. How did little kids do with them? A new adventure.